The Pineapple afghan + book will be free - May 1st, 2nd and 3rd. Most of our books are now available for Apple, Nook and others. to the product you're looking for let us know. It's finally getting warmer here. Hope the weather where you live is exactly how you like it! Feel free to share photos of projects you have made. Im making a police hat and diaper cover for a photo prop. Im stumped on the one instruction. (ch 5, sl st in the sc in the previous row, sl st down chain back to current row). Can you help me. It is on the diaper cover row 3. The next row is all half double crochet stitches (the "working row"). The third row appears to be where the belt loops are formed. Work one single crochet into each of the next 20 stitches. So this step is not as awkward... turn the work so the foundation chain is on top then work a slip stitch in the single crochet directly below the chains (into the base of that stitch along the foundation edge). Turn the work so you can slip stitch in each of those 5 chains which will get you back in position to continue on the working row. Single crochet in each of the next 6 stitches. to continue on the working row. Single crochet in each of the next 20 stitches. NOTE: Rows 1 and 2 have a total of 55 stitches. working row you need to skip one stitch to get the same count as the designer. A faithful life is one that is lived thoughtfully throughout all the seasons. A good name is to be more desired than great riches, favor is better than silver and gold. And someone in the crowd said to Him, "Teacher, tell my brother to divide the family inheritance with me." But He said to him, "Man who appointed Me a judge or arbiter over you?" And He said to them, "Beware, and be on your guard against every form of greed; for not even when one has an abundance does his life consist of his possessions." And He told them a parable, saying, "The land of a certain rich man was very productive. And he began reasoning to himself, saying, 'What shall I do, since I have no place to store my crops?' "And he said, 'This is what I will do: I will tear down my barns and build larger ones, and there I will store all my grain and my goods. 'And I will say to my soul, "Soul, you have many goods laid up for many years to come; take your ease, eat, drink and be merry." ' "But God said to him, 'You fool! This very night your soul is required of you; and now who will own what you have prepared?' "So is the man who lays up treasure for himself, and is not rich toward God." "NEVER LET GOLD BECOME YOUR GOD." Which King was made to eat grass like cattle? 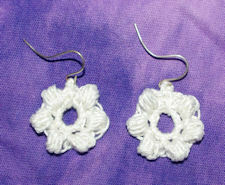 Many crocheters tend to accumulate a variety of hook styles and sizes. How to you organize or store your hooks? Click here to read how our viewers organize and store their hooks! THE FONT IS A BIT TOO SMALL FOR THESE OLD EYES....LOL! 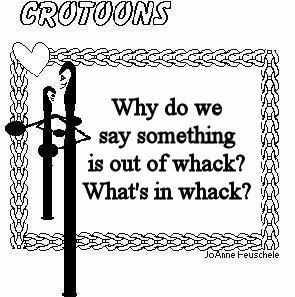 JUST LETTING YOU KNOW.......DIANE P.
I hope you have continued to enjoy the Crochet N More Newsletter. I have had a time with the new programs used to publish it. when the type/font is too small. CTRL button and push the plus sign (+) . I just wanted to share with you a version of your row count coaster I came up with. 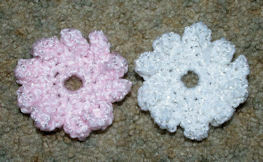 I have done a set of your breast cancer coaster for my sister-n-law and she loved them. I wanted to come up with one that reflected me and my faith. Hi. I love your baby beanie pattern. I was wondering if there is a preemie version of this? I crochet things for the local hospitals and the babies in the NICU. Thanks. a smaller version of this pattern. Love your website. Really love the dish cloth pattern and am looking forward to trying it, but more than that it was refreshing to see that yours is a Christian web site. May God bless you as you proclaim His Word through you work. I enjoy your newsletter very much, and appreciate you compiling the information and sending it out. One of your readers asked about the Lacy Summer Scarf. It looked very pretty, and I went looking for the pattern. Is there not a printed pattern for this scarf? All I could find is the video, which would mean I have to try to write the pattern out while watching the video. I could not find a category in your pattern list for scarves, shawls, stoles, etc. I have been crocheting over 60 years, so I do not need the video, just the pattern. 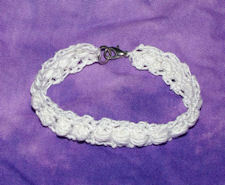 the Crochet N More Newsletter. Pattern is linked in the article... free Ravelry Download. Ravelry is your friend. Must make. Did you see the one they worked up in all white? Would make a gorgeous coverlet. Thanks! I love the pattern. I'm looking for a FREE crochet pattern to cover my throw pillows on my couch. My pillows are 21x21. Something simple preferably no more than 2 colors...any suggestions? I've found many patterns for covers for pillows but most are smaller than 21x21. is for a 14x14 but this could be made larger. Thank you. I have 6 pillows so just may try all 3 designs. I wish I could post a picture on here of the hat I made using this tutorial. I'm glad you enjoyed the tutorial. I'll be glad to share it in a future newsletter. Iinteresting... most tutorials i watch chain one in﻿ between 3 doubles. I will have to try this and see if it helps my tension. This pattern does have a chain 1 on the first round just to get you started with the pattern. Hope you like this version. If your tension seems too loose, try a smaller hook. If it's too tight go up a hook size. the point. I like that. It has been awhile since I did this stitch and it came back to me fast too. Thank you so much for this tutuorial, it was very helpful and bought it﻿ all back to me once I had started as I haven't done any crochet for a long time! I have a question. I am working this pattern for the first time and really liked your idea about adding the border as you go instead﻿ of at the completion of the body of the afghan. My questions is, do you start each row with a sc and then a ps, and then pick up the remainder of the pattern from the graph, ending with a ps and then an sc? Or do you only do that on the wrong side (the side you normally do puff stitches,) and on the right side you do single crochet stitches for the entire row? The puffs are all worked on the wrong side as in the main part of the graph. To add the border at the same time... 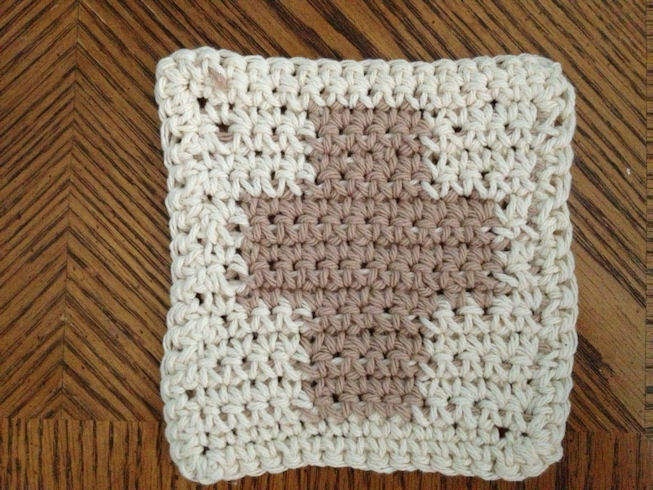 I crochet a row of single crochet stitches followed by the same row of puff stitches that divide the letters horizontally. Then I continue with the graph while adding an extra single crochet and puff stitch along each side edge. 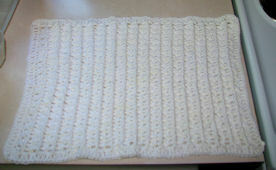 End the afghan with a horizontal puff stitch row and the last row all single crochets. All puff stitches should align with those in the graph. Although he never caught the bandit, he did resolve the matter. I'd say zero." He handed me back my license. It was the first camping experience for Jed. As soon as he had pitched his tent, he went for a hike in the woods. In about fifteen minutes he rushed back into camp, bleeding and disheveled. "What happened?" asked a fellow camper. "I was chased by a black snake!" cried the frightened Jed. The camper laughed and retorted, "A black snake isn't deadly." "Listen," groaned Jed, "If he can make you jump off a fifty-foot cliff, he is!" were on that plane, don’tcha?” sneered the CC. “No, sir,” said the unlucky recruit. out on the clothesline, she would yank it down. the yard. On the line was the white kitchen towel. and says, "I need a job and I think I'm pretty good." chop down that redwood over there." came back and was done. that tree down so fast?" The man said, "I got a lot of practice in the Sahara." The owner replied, "You mean the Sahara desert?" A woman in our diet club was lamenting that she had gained weight. She'd made her family's favorite cake over the weekend, she reported, and he’d eaten half of it at dinner. The next day, she said, she kept staring at the other half, until finally she cut a thin slice for herself. One slice led to another, and soon the whole cake was gone. The woman went on to tell us how upset she was with her lack of willpower, and how she knew her husband would be disappointed. Everyone commiserated; until someone asked what her husband said when he found out. She smiled. "He never found out. I made another cake and ate half!" if we should push on to the next town. a solution. "Just turn on the heater," she suggested. was to call home right away. daughter answered, I immediately asked what was wrong. in an hour and I want to wear the shoes you have on." playing poker with a small, shaggy dog. he gets a good hand, he wags his tail." on "turning the other cheek" got their undivided attention. we should never try to "get even." That afternoon the youngest boy came into the house crying. brothers, who had kicked him in return. he isn't supposed to kick me back."